Yards are a highly personal thing. Whether it’s the front, back or even side yard that needs landscaping, the result you want is clear: you want it to be an expression of you, but also of your tastes. For many of us, home ownership is a dream; yet too often, when that dream comes true, we ignore the outdoor elements of land ownership, and focus too much on the house itself. Yards can be just as important as houses. In fact, the only way your house could ever look its best, is if its yards did too. But it’s deceptively difficult to correctly landscape your yard. 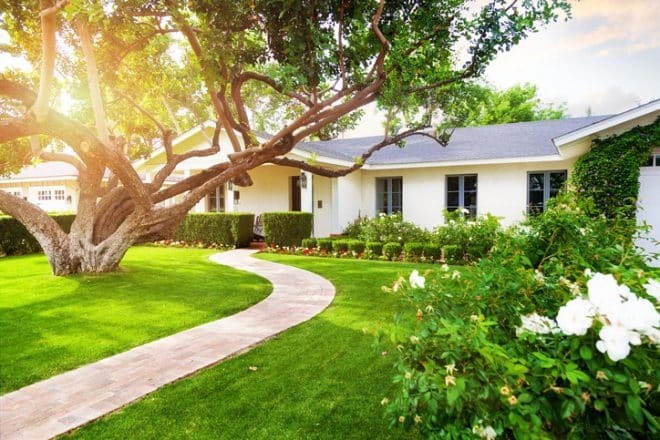 There’s a variety of important considerations to take into account, if you want to ensure that your yard will both look its best, and serve its intended purposes. Here’s a look at some of the most important considerations. Every yard has a completely different purpose, and that should be the first consideration to come to mind before getting in touch with someone regarding landscaping options. To some, a yard is purely functional. It might serve just as somewhere for the dog to run around, for the kids to have a play, or even just as a space with which to grow vegetables. Others though, might see their yards (mostly backyards) as the entertaining hub of their entire household. They might foresee endless barbeques or cocktail parties, and would require the appropriate landscaping to match those desires. And those are just some of the most common purposes of a yard. That’s why it’s paramount to consider purpose first. Another one of the most important things to consider is budget. It’s normal that everyone will have a different budget, and that will undoubtedly affect their plans for their yard. Figure out your budget early, be strict with it, and make sure you stick to it. It’s nice to dream of extravagances, but there’s no point if you can’t afford it. Considering your budget is an important step in determining the rest of your landscaping planning. It could well be that some of the plans you have for your yard will need council approval. It’s important to consider what’s realistic, as well as figuring out whether or not the plans you’ve made for your yard will affect your neighbours, and disturb their yards or lives. While a pool or a lush flower garden might be something you’ve wanted for a while; you may just find that it could be a bit more maintenance than it’s worth down the line. Have a good long think about what you want in your yard, and whether or not you’re prepared to shoulder the responsibility for caring for it in the short term. Chances are you could change your mind, and that’s something you want to do before the build starts. Every yard is different, and the Australian climate is notoriously fickle and changeable. That means that what might work or look good in someone else’s yard, isn’t at all guaranteed to do the same in yours. It’s also worth considering the geographical limitations of the space. Are you on an incline? A pool could be prohibitively expensive then. Trying to understand the individuality of the yard you’re working with is one of the safest bets to ensuring that you’ll end up with the yard you deserve. At Everlast Services, we take all of these considerations into account. That’s why we provide some of the most accurate quotes around. We know what goes into landscaping the perfect yard, and we’ve being doing it for over 20 years.